For several years I always choose lip balm/gloss over lipstick as my primary lip essential simply because it's where I'm comfortable with. My lips get easily dry and irritated after using a lipstick, so it's very important for me that the product I choose wouldn't do any harm on my lips. 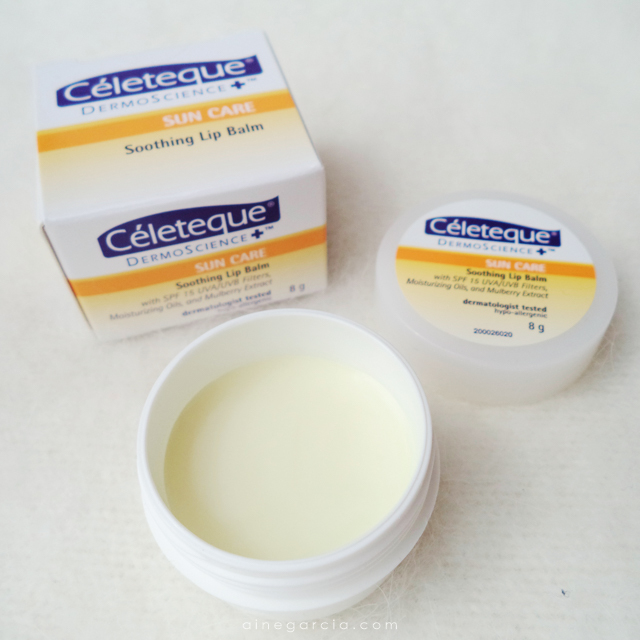 The one that I have recently tried is the CELETEQUE Soothing Lip Balm from their Sun Care Line. This lip balm is specially created with SPF 15 and has double sunscreen protection against UVA/UVB rays for the lips. It also contains Mulberry Extract that helps brighten and lighten darkened lips and Moisturizing Oils to keep the lips healthy with their softening and smoothing benefits. 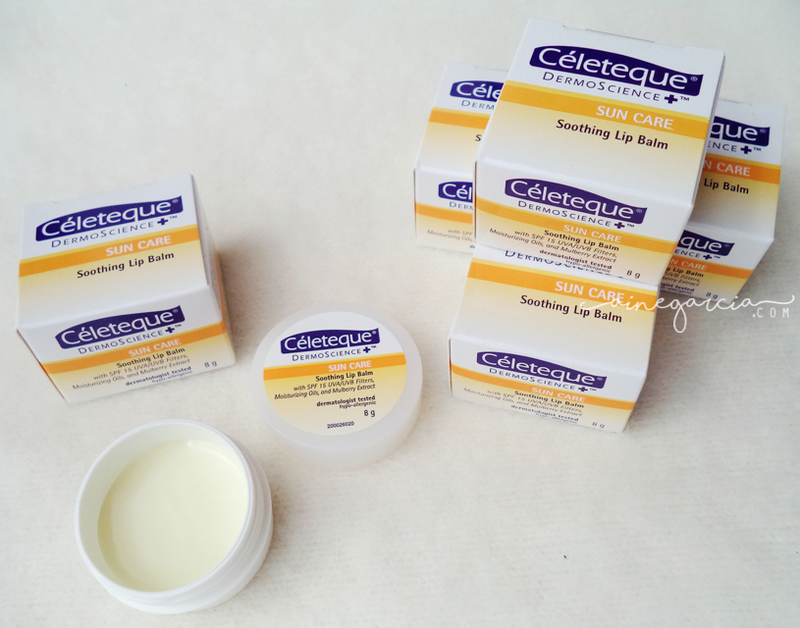 The Soothing Lip Balm is dermatologist tested and hypo-allergenic which made it safe and proven effective for daily use as a lip moisturizer as well as to soothe wind burns, dry and chapped lips. Perfect for our current weather, I'm using it every day. Since it comes in a small container, I just gently apply it on my lips using my index finger; a little reminder though you just have to make sure that your hands are clean before application. After testing it for a week, I've noticed that my lips are soft and more moisturized. And with the kind of weather we're in now, I haven't experienced dryness and chapped lips unlike before. I just hope CELETEQUE could come up with a stick version, that way it would be more hygienic and will have a lesser bulge-effect when it's in the pocket. I'm also looking for that mint cooling effect when applied on the lips, I felt a little bit of it though, it's just that I preferred it to be more stronger and long lasting. It's more soothing for me that way, especially if the lips are so dry and irritated. CELETEQUE DermoScience™ Sun Care Soothing Lip Balm with SPF15 is available in all leading drugstore and supermarkets at Php190.00 (SRP). If you want to know more about Unilab, visit their website HERE.